[iconname]Charvale[/iconname] was one the winner's of this month free image raffle I have going for Patreon. He decided that I really should have more dragons in my gallery (A fact that I agree with!). 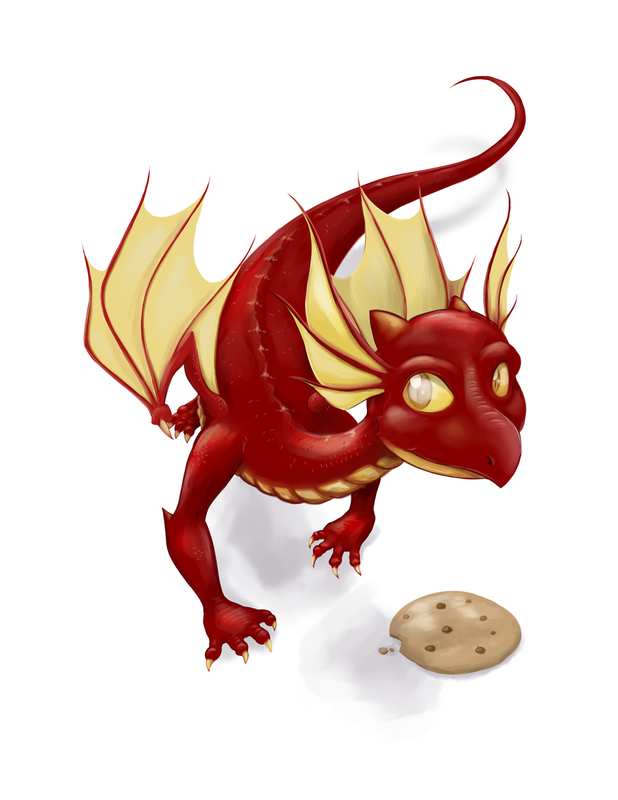 So I got to draw his little dragon, Firedust. I decided try going for straight out painting style for color this time, let me know what you guys think! Better, worse? and I love the little cookie addition! ‌He looks positively adorable! =^_^= <3 and I love the little cookie addition! Never has something that could kill me with a mere thought looked so adorable! And no, the terrible terror doesn't count, since they were never shown to be deadly... dangerous sure, but not deadly. It's so pretty and cute! Really cute draggy! ^w^ Yay for crispy cookies!